An evening of Nia Technique with Cindy Wheeler, PT, and certified Nia instructor. 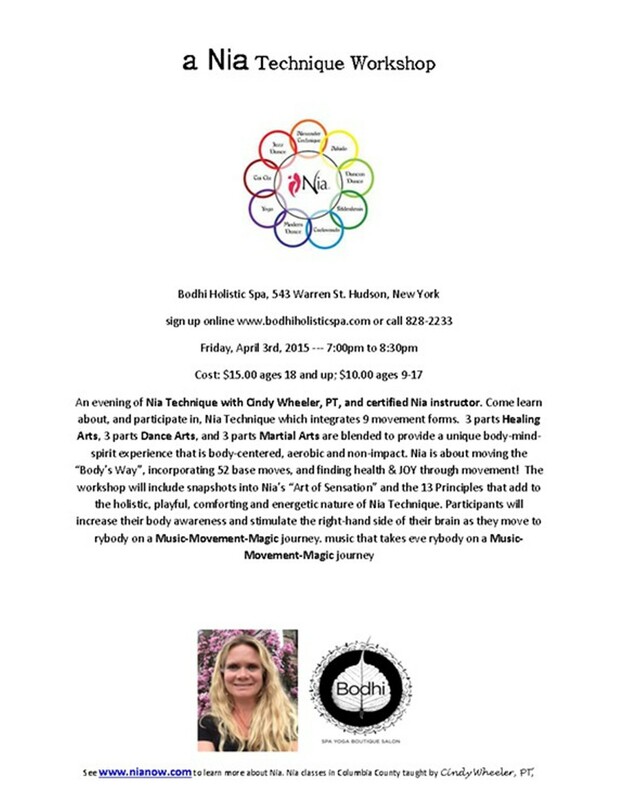 Come learn about, and participate in, Nia Technique which integrates 9 movement forms. 3 parts Healing Arts, 3 parts Dance Arts, and 3 parts Martial Arts are blended to provide a unique body-mind-spirit experience that is body-centered, aerobic and non-impact.